Project managers often talk about the triple constraint or scope, schedule and resources/budget. A project has goals, deliverables and activities that must be performed for it to be successful. That is the scope constraint. A project has a defined start and end date in which all activities must be accomplished. That is the schedule constraint. A project has limited amount of resources based upon the budget at its disposal. That is the resource/budget constraint. 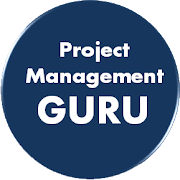 A project manager and the project team create a project plan that makes the best use of the available resources within the project time constraints to complete all the activities of the project scope. And then reality happens. Something unexpected occurs that impacts a portion of the project requiring more work than was planned – and it must be done immediately. Now the project manager is faced with a dilemma. The project manager can refuse to do the work and maintain the original scope, schedule and budget. But then the project is considered to be a failure because the delivered scope is inadequate for what is really needed. The project manager can do the extra work and bring on extra resources to complete it within the original schedule. But the project is considered to be a failure because it is overrun. The project manager can do the extra work with the existing resources by delaying some of the planned tasks. But the project is considered to be a failure because it missed the scheduled completion. So the project will be considered a failure. The project manager must determine what type of failure they want to have, a scope failure, a budget failure, or a schedule failure. They can pick two, but they will miss one – and probably miss it badly. This is not a hypothetical situation. A 2014 report published by Standish Group concerning project failure rates found that for IT projects in large corporations, only 9% finished on time and on budget. But though the project manager picked those two constraints, they missed scope. Those projects finished with results that had only 42% of the originally proposed features and functions. Small companies did somewhat better. A whopping 16% of their projects completed on time and on budget. Over half the time, the project managers picked scope and schedule. But then projects were overrun and the overrun percentage was 189% of the original budget. When projects were delayed, the average delay was 222%. Fully 31% of the projects were so bad that they were just cancelled. How do projects get into such death spirals? Let me illustrate with a project on which I had experience. This was a large defense development project with new technology and an aggressive schedule. During the development, unexpected problems popped up with the technology. The project manager was adamant that the schedule and budget must be maintained, so the project team members kept going with the planned project tasks, even though everyone knew that there were unresolved technical problems. These problems kept growing in their magnitude and impact until finally a spectacular test failure occurred (the fireball was awesome!). By this time the project was also several months behind schedule and about 10% overrun. The project manager was fired and I was appointed the new project manager. When I was assigned to the project, I asked senior management what the goals were. And their response was to find out what was wrong and fix it. They also told me if I needed something, come back and ask for it. Beyond that they had no specific guidance. In my first meeting with the team, it was obvious that they were demoralized and scared. I asked which of the three constraints, scope, schedule, or resources/budget was most important and which was the least important. The team’s response was that everything was of the highest importance. They had to deliver all the features and functionality, they had to do it on time, and they had to do it within budget. When I pointed out that they were currently failing all three aspects, their comment was they just needed to try harder. Yet I could see in their eyes that everyone felt the project was doomed (and so were they). In this case, I didn’t even think I had an opportunity to pick two of the constraints; I had to just pick one. Based upon the nature of this project and the overall organizational strategic goals, I picked the scope constraint. I directed the team that we would fix the technical problems. No matter what it cost or how long it took, we would make sure this thing worked, and worked well. With that single-minded focus, we went to work and in a few months we had fixed the technical problems. I then refocused the project team to recover the schedule. We worked our critical path closely and aggressively went down the other paths. A year later we finished the project on time with full functionality. And we were about 25% overrun. I picked two – scope and schedule – but missed the third. That project was considered a success by the organization because it had recovered from a disastrous state. The overrun was covered by senior management from a reserve fund, and the system was deployed to our military troops on-time and worked well. So What Constraint Is Most Important? The correct answer is not always to overrun. When we built the house we are living in, we had a few unexpected problems that caused extra expenses. We did not want to go back to the bank for more money, so we choose to reduce the amount of landscaping. In this case I picked schedule and resources/budget and descoped the project. As another example, I am in the process of doing an overhaul and update of my company website. The work was started. A new design was established and the resources identified. But then I was pulled into a big project requiring most of my time. I put the website update on hold. Rather than change the scope, or switch to more expensive resources, I decided to delay the project. Ideally projects complete on-time, on budget, with all of the requested scope. But the Standish research shows we should be prepared for the fact that the project may not. A project manager should work with their stakeholders to determine which two of the constraints they will meet, and which one they will miss. 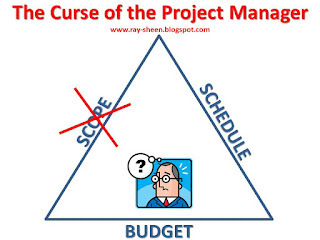 Yes, project managers are cursed. But they do get to pick which curse. Are your innovation teams struggling for new ideas? Are they stuck with the current paradigm? The problem may be that they are pursuing the wrong axis of innovation. Technology and innovation in one field creates opportunities for innovation in other fields. These innovations can then lead to opportunities for more innovations, sometimes even back into the field of the original innovation. The technology of the integrated circuit, while innovative in itself, was the catalyst for massive innovation in countless other industries, products, and processes. Innovations in materials science and precision on manufacturing equipment that were enabled by integrated circuits; were then used to innovate micro-circuits. Opportunities for innovation that did not exist even a few years ago may now exist because of the innovation that has happened in other industries. Let’s look at an example. The first commercially available smartphone was an IBM product marketed by BellSouth in 1994. The only apps it had were phone, fax, email, calendar, and calculator. Five years later, there were a variety of PDAs on the market with Blackberry and Palm being the dominant players. This now had operating systems to run programs. In 2007, Apple introduced the iPhone and Android phones were on the market the following year. Fast forward to today and the innovation of the smartphone has opened the door to countless other innovative product and services. As of today there are over 1.5 million apps available at the Apple app stove and 1.6 million available for Android users. Many of these apps represent innovative products and services. Without the smartphone as an enabler, the innovation down one of the three axes of innovation would not have been possible. 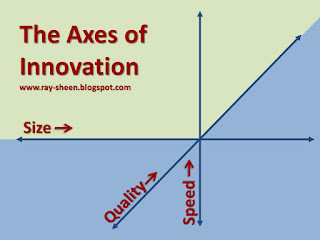 So let’s talk about the axes of innovation. When your innovation teams are struggling, they need to look at the capabilities of other industries to determine how to leverage that capability onto your products and services. In particular they should be looking to transform your products and services in at least one of three innovation directions – size, speed, and quality. 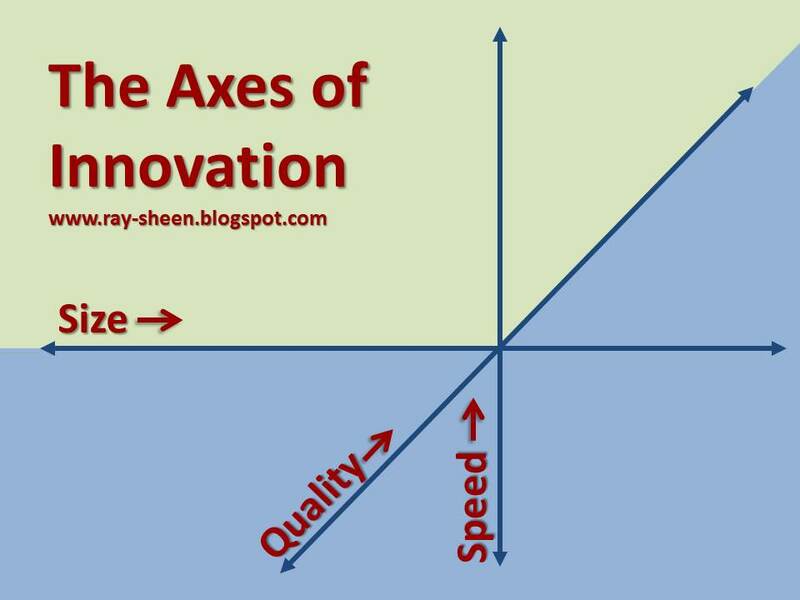 These are the three axes of innovation. Depending upon your product, dramatically smaller or larger may be the needed innovation. Although the use of steel had been around for thousands of years, it was the innovation of the Bessemer process in 1855 that enabled mass production. With that innovation, steel became the dominant construction metal enabling further innovations in railroads, ship-building, and building construction. Likewise, the miniaturization of electronics has led to numerous innovations in telecommunication and personal appliances. Challenge your innovation teams to find the enabling the technologies that will allow you to increase or reduce the size of your products and services by an order of magnitude. What new technology allows you be ten times bigger or ten times smaller? What new product and service opportunities does that create? Another axis of innovation that will transform an industry is speed. Reducing the time for a customer to receive products or services by an order of magnitude can transform an industry and create huge opportunities. One obvious example of that is Amazon and the experience of buying online. Instead of the old mail-order catalogues and waiting weeks for delivery; you can now order on Amazon and receive your product the next day - even faster if you are ordering a book that can be downloaded to your Kindle. The advances in communication technology, transportation technology, and logistics have created opportunities for innovation that are well received in our “Want it Now!” culture. This holds true as well for larger custom-designed and built equipment. The innovative approach of “configure-to-order” has reduced the lead time in some equipment categories by an order of magnitude. Challenge your innovation teams to find the enabling technology that allows you to deliver your products or services either instantaneously or within a fraction of the current time. Can you provide some level of instant gratification to your customer? Can you do things remotely in the background and provide immediate service? Can you deliver it overnight? What product or service opportunities does that create? The third axis of innovation is the hardest to quantify. Therefore, there are more opportunities for innovations along this axis and more risk that the innovation will be unnoticed or unappreciated. The attributes of quality vary with the user, the product, and the application. For some it is accuracy and precision. For some it is durability and reliability. For some it is aesthetics and user interface. Every customer will have a different set of attributes and priorities about quality. But there are some typical patterns among user groups. Your marketing people should be able to provide insight with respect to what constitutes “high quality” for different customer segments. Once the definition of quality is established, enabling technologies can be identified. For automobile drivers, the definition of quality has changed over the years from reliability to performance to comfort. As the definition changes, the automobiles that are considered high quality have changed the types of features they are adding and advertising. In addition, the expectation of what constitutes “high quality” is often impacted by the customer experience in other industries. Drivers of “high quality” automobiles now expect to have dashboard displays of safety and performance data. Fortunately, the sensor technology and display technologies have made this a straight-forward innovation. Challenge your innovation teams to find enabling technologies that would transform the definition of “high quality” for your products and services. How can you improve the ease of use in the customer application? Can you be ten times more accurate or reliable? What product or service opportunities does that create? I have focused on innovation that is related to your existing business model or innovation within your industry or product lines. Most companies with innovation teams are asking those teams to create new products and services. There are innovations that are based upon discovering new scientific principles. These are usually the focus of academics and research laboratories. These might be some of the enabling technologies your innovation teams will use. But these innovations rely upon the scientific discovery process, not commercially focused innovation teams. Our current business press and academia are in love with the entrepreneur. Virtually every business magazine will feature an interview with an entrepreneur. Blog posts are touting the spectacular rise and performance of various entrepreneurs. Business schools and universities have created MBA and DBA tracks for entrepreneurs. 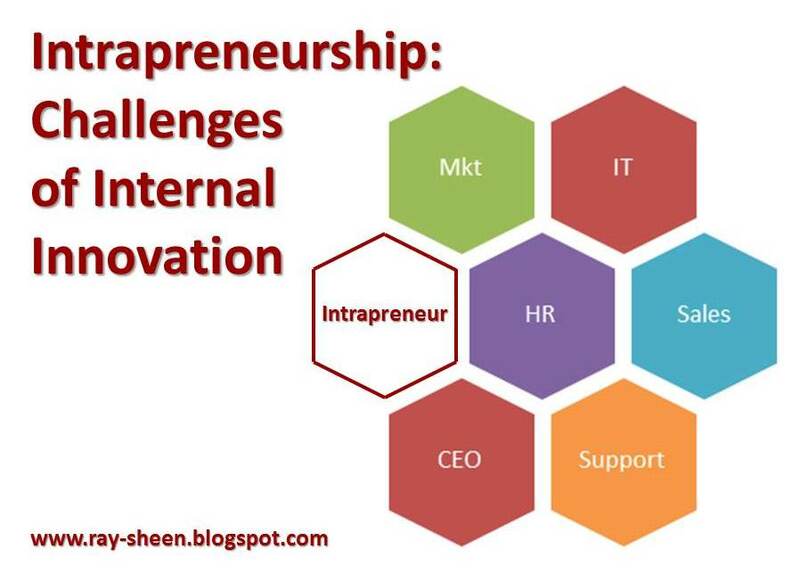 However, the role of the intrapreneur is largely neglected. An intrapreneur is an individual, usually a manager, within an organization who promotes innovative product development and marketing. Now you might say, “Well that sounds like the job of the R&D Manager and the Product Marketing Manager.” What makes an intrapreneur unique is that they conceive, promote, plan and implement their innovative idea. Also their innovative idea is not just a line extension of an existing product, or a minor packaging change; it is a major innovation that either creates a new product line or transforms an existing product line. Most large companies have business processes that do strategic planning, product planning, new product development and product introduction. There are policies and procedures for accomplishing the work in these processes. Reviews and checklists are used to track progress and make decisions to ensure the new products will meet the business objectives. The R&D Manager and the Product Marketing Manager have key roles in these business processes. But these processes are designed to control business risk and maximize the use and return of business resources. Therefore, these processes normally focus on the current business product lines and markets. When that happens, these processes suppress creating a brand new product line or breaking into a totally different market because of the high levels of uncertainty. Add to this that the majority of the business resources are focused on running the current business. It is no surprise that it is typically very difficult to get the needed technical expertise internally to plan and develop a truly innovative new product. That is one reason that so many large corporations choose to expand their product lines through acquisition instead of innovation. So the intrapreneur is faced with a daunting task, one that is similar in some respects and yet different in others from that of the entrepreneur. The intrapreneur must overcome the organizational inertia and bureaucracy to get approval and support for their innovation. This can be much harder than the problem an entrepreneur faces since the intrapreneur cannot just move onto the nest venture capitalist if they get a “No” answer. However, once they have support, the intrapreneur has an advantage because they have experienced resources available and existing relationships they can leverage. In both cases they will need good analytical and project management skills to bring their innovation to market. The business already has a process for selecting strategic development initiatives. The intrapreneur’s innovative idea will be compared to other ideas and will inevitably be a higher risk idea than most if not all of the others. The intrapreneur’s innovation will often cannibalize or obsolete an existing product line. Those responsible for this existing product line will often be antagonistic towards the innovation. The intrapreneur must work with the management team and technical experts within the company, even if some are not supportive of the idea. He or she cannot find their own support team that shares their vision of the innovative product. Innovation projects are often technically challenging with significant uncertainty that leads to project delays and overruns. A company that is used to the certainty of low risk development projects will quickly lose confidence in the innovation project. Facilitation and communication skills to develop and lead a cross-functional team of experts – some of whom are not completely supportive of the innovation. Project management skills to plan and implement the development project and proactively manage risk within the project. Communication and political skills to manage the internal politics of change and innovation within the organization. Being an intrapreneur can often be a thankless and frustrating role. Even when the project is successful, the rewards are likely to be miniscule as compared to those of the entrepreneur. But the advantages are that there are often significant resources available to help the project succeed and the personal risk is less than for the entrepreneur. Companies often use independent contractors to supplement their project teams – I know I did when running projects at GE. These individuals often provide specialized skills that are required for project activities. 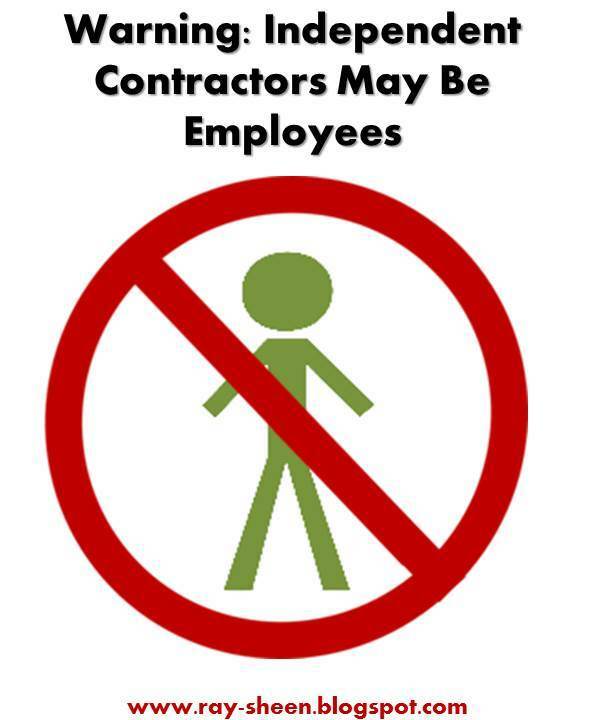 The US Department of Labor issued an Administrator’s Interpretation last month (July 15, 2015) that is likely to impact many projects that rely on independent contractors. Based upon my reading, many of these individuals will now be considered employees. The Department of Labor has indicated that they are cracking down on the mis-classification of employees under the Fair Labor Standards Act (FSLA). The FSLA definition of an employer-employee relationship is for the company to, “suffer or permits to work.” A set of “economic reality factors” is used to determine if an individual is an employee under this definition of the FSLA or an independent contractor. This recent Interpretation changes how these factors are to be considered. According to the Interpretation, “The factors should not be applied as a checklist, but rather the outcome must be determined by a qualitative rather than a quantitative analysis.” That sounds flexible, but whenever bureaucrats and courts get involved, it is likely to turn into a checklist. Therefore, unless a person meets at least four of these factors; they will likely be considered an employee instead of an independent contractor. Let’s examine each of the six factors from a project perspective. The key to understanding this factor is that what is integral is the type of work, not the worker. The “integral work” is work that is at the core of what the business does. So for instance, a person on the phone in a call center is doing work that is an integral part of the business, even though that individual may be one of hundreds doing the same work. They are an employee. Whereas, an individual who is upgrading the payroll system at the call center is not performing a task that is integral to the nature of the business. They could be an independent contractor. That is not to say that a payroll system is not an integral part of the business, but it is not the type of work that the business performs. The implication for projects is that if the business primarily performs project work – such as a construction firm or consulting firm – then everyone on those projects will likely be considered employees. However, independent contractors can do work on projects that change the business systems, processes, or facilities. This factor deals with the control or influence of economic risk on the part of the worker. If the worker is negotiating contracts and prices, advertising and marketing their services, and selecting/prioritizing customers, then their managerial skill will impact profit and loss. They are considered independent contractors. However, if the worker is working from a standard price set by others and the only impact they have on their profit and loss is how many hours they work; they would be considered an employee. The implication for projects is with time and material contracts. When an individual doing project work is paid a standard rate based upon the number of hours, and the number of hours is determined by the project manager and the needs of the project; that person will likely be considered an employee. A person who negotiates a fixed price contract for a project deliverable will likely be considered an independent contractor. The key on this factor is the “relative” investment made by both the company and the individual. To be considered an independent contractor, an individual may have made a significant investment in themselves or the “tools of the trade.” This is in comparison to the investment that the company would make on behalf of the individual to do the work. Examples of things that an independent contractor would invest in are tools, equipment, rent, insurance, and certification. A company may subsidize one or two of these, but the preponderance must be provided by the independent contractor. For many in-house corporate projects, this is a difficult factor to overcome. Often the nature of the project work means that the company has made the major investment. This is especially true if the individual works on site where they are given an office, a computer, or access to systems and equipment. Project work that is done off-site or remotely, either at the individual’s facility or at a job site where the individual must bring in their own equipment is more likely to lead to an individual being considered an independent contractor. The key to this factor is the word, “initiative.” Special technical skills do not automatically lead to independent contractor status (although the lack of any special skills will mean that the individual does not meet this factor). Employees also have specialized technical skills also, in fact that is often the lead item in a job description. This factor is based upon the individual applying their technical skills in some business initiative beyond the technical work specified by the company. Project work can again create problems for this factor. Generally, individuals are hired on projects for one of two reasons. In one instance, more “arms and legs” are needed to do some project work – in which case there are often no special skills so they are employees. The other instance is when the project plan specifically calls out what the individual is supposed to do. This may require special skills, but there is no initiative required so again they are employees. To meet this factor, the independent contractor must independently manage a portion of the project and that portion must require some special skills. This is probably the easiest factor to understand, but there are some nuances. If an individual consistently and primarily works for just one company, even though it may be on a variety of projects, they are an employee. The relationship is seen as a permanent one. This can be true even if the work is part-time or seasonal in nature. If an individual consistently works for only one employer, it is viewed as a permanent relationship, not an indefinite relationship. An independent contractor will have multiple customers/clients. The problem for projects is if the same individual is used again and again by a company on multiple projects. That individual must have other clients and they must do a significant amount of work with them to be considered an individual contractor. This used to be an easy factor to analyse. If the person was on-site the degree of control was high and if off-site it was low. However, with the technology available today, the location of the worker is of minimal importance. What is crucial in this factor is the assignment of tasks, the setting of schedules, and oversight on the quality of the work performance. If the company manages those, the individual is an employee; if the individual manages those, they are likely an independent contractor. The concern for projects is based upon the nature of project work. The project plan often specifies what must be done, when it must be done, and even how it must be done. So even though the individual is working from home, if they are working on a highly specified project activity, they will likely be considered employees. Independent contractors would be given an end date and deliverable and they would then determine how they would perform the work to meet these goals. As you can tell from this assessment, many “independent contractors” working on projects will now be considered employees. This has significant financial implications for the business. Not the least of which is that small companies may suddenly find that they have over 50 employees and now fall within the Obamacare provisions. PMOs and project managers need to review these with their HR department and establish their new guidelines for use of independent contractors on projects. This blog is not legal advice. It is a personal assessment about the application of the DOL Administrator’s Interpretation. You should consult with a lawyer about individual actions or grievances. That title is a paraphrase of a famous quote from Mahatma Ghandi, “There go my people. I must hurry to follow them for I am their leader.” Ghandi was both a charismatic and dynamic leader. While he could inspire a crowd, he also would quickly adapt to changing circumstances. Even abandoning yesterday’s truth to embrace the current reality. Product and service innovators who are seeking to create lasting value will embrace this philosophy. Product or service value must always be defined from a customer perspective – not an internal perspective. An internal perspective of value is focused upon cost and price. An external perspective of value is focused upon demand and satisfaction. Demand and satisfaction can change overnight based upon numerous factors outside the seller’s control. 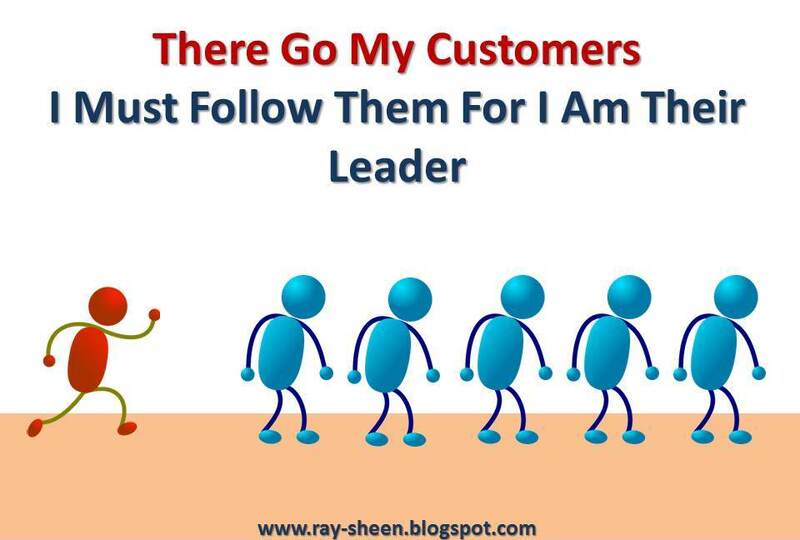 Everyone wants to be the market leader. But market leadership is hard to gain and hard to maintain. Customers have a mind of their own and they will decide what products and services provide the most value to them. The customer determines demand and the customer determine the measurement for satisfaction. Therefore the product and service innovators must stay nimble and react to quickly changing customer perception of value. While the innovator and seller can stimulate demand, they cannot control it. Demand for a product or service is not static. The innovator and seller can stimulate demand through advertising and pricing. Competition can also stimulate or suppress demand. A market with healthy and sane competitors will often grow the size of the market, creating more demand for everyone. A market with unscrupulous competitors can damage the reputation of all sellers – think of the used car industry. Outside factors can also influence demand. Current events can drive sales up or down. The recent banning of the Confederate battle flag from selected government sites has actually stimulated sales of the flag. Likewise a product recall or bad publicity can drastically curtail demand. In 2007 there were many recalls of toys manufactured in China because they had been painted with lead based paint. Consumers reacted to this news in Christmas of 2007 by avoiding or curtailing their buying toys. Toy sales were down 25% even among those toys that were not part of the recall. Innovation will often create demand, but the demand may be from different customers than those targeted. Roller skate manufacturers never had the skateboard in mind when then created roller skates. But some surfers in California strapped those onto a box and then a plank and the next thing you know there is a skateboard industry. Innovators and sellers have more opportunity to impact satisfaction; yet there may still be elements outside their control. Satisfaction with a product or service is based upon whether the product or service meets the customer’s expectations. The product or service is designed to provide a type of value to the customer. But the customer’s expectations can be influenced by many factors. The seller has the opportunity to interact with that customer and ensure that the expectations are met. An element of product marketing is setting the expectations for the customer. Marketers have a particular category of customer and customer experience in mind when creating both the product or service design requirements and the advertising and marketing materials. However, there may be other customer segments that use the product or service for different applications. Their satisfaction was not considered when designing the product or service because it was not even known. Further, the customer’s expectations may be changed by their experiences with other products or services. This experience can change the expectation for what is considered acceptable or high quality. Because of my experience finding user manuals and instruction books online, I now expect them to be available for every product and I read through them for major products before buying. If the user manuals or instructions are not available online, I do not trust the company or product and will not buy it. So what does this mean about customer value and being a market leader? Two things. One affects how you design your product or service and the other affects how you manage customer interactions. If your products and services are expected to have a long lifecycle, they need to be designed to be adaptive. A product that is a fad product and expected to be here today and gone tomorrow does not need this capability. But if your product is to have long legs, it must be able to adapt to the changes in customers. The changes in demand and changes in expectations will create the need for changes in your products and services. If these are designed to allow rapid modifications and customizations, they can quickly adapt to the changes. If you need more information on how to design your products in this manner, contact me. Second, you must create, maintain, and monitor a regular stream of customer interactions. It is not enough to survey your customers periodically or conduct focus groups. These approaches provide “lagging” indicators of customer dissatisfaction. In today’s very fast-paced market, by the time these methods inform you of a problem; your customer’s are gone. You need real-time feedback on satisfaction. This will require a monitoring system of customer interactions that is feeding your Business Intelligence system and providing information to both managers and front-line staff about problems and successes. Again if you want more information on how to design a system like this, contact me. To lead in the marketplace, you need to be a fast-follower. 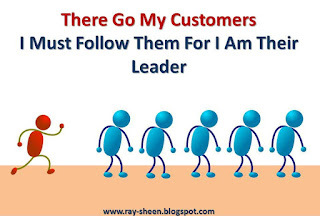 Not of your competition, but rather a fast-follower of your customer.